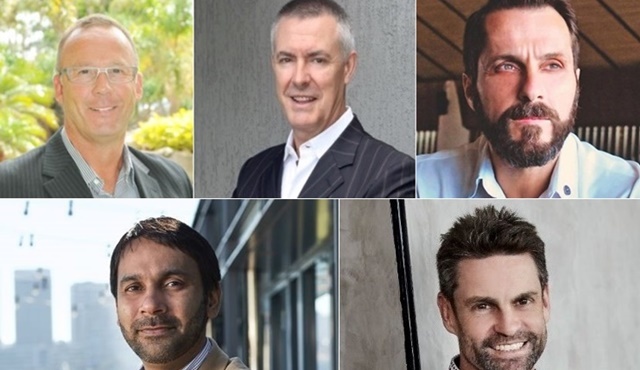 Ahead of multiple brand debuts and new properties opening across Australia, Marriott International has unveiled five new General Managers to lead a mixture of brand new and established hotels. With nearly 30 years in the industry, Andrew Wright moves to Western Australia to take the GM role at Aloft Perth. Wright has held similar roles at a number of Marriott properties on the Gold Coast including Sheraton Grand Mirage Resort and Surfers Paradise Marriott. He has also been previously based at the Sheraton Perth. Joining Wright in the WA capital will be Dario Orsini, who will take control at the Ritz-Carlton Perth, which is due to open later this year. Orsini moves from Bali where he was in charge at the Sheraton Bali Kuta Resort. He has also held positions in Germany, Spain, Egypt, Saudi Arabia and Malaysia over his career to date. Bringing particular experience in the pre-opening phase, Damon Page has swapped the sun of Mauritius for the character of his home town of Melbourne where he takes the helm at W Melbourne ahead of its opening next year. Page oversaw a number of openings in Mauritius, Seychelles and Madagascar. Page has also managed the W Hong Kong and W Maldives. Rising from the ranks of management trainee in Mumbai to General Manager at the Element Melbourne Richmond, Harry Singh brings nearly 20 years industry experience to his new role. Singh relocates from Sydney where he was recently positioned as Director of Operations at Pier One Sydney Harbour and the Sydney Harbour Marriott. Element Melbourne Richmond is slated to open its doors to guests in May this year. Moving from Aloft Perth, Stephen Morahan has relocated to Hobart ahead of the 2020 opening of The Tasman, a Luxury Collection Hotel. Morahan has been with Marriott International for 12 years, when he began in Food & Beverage at Sheraton Noosa Resort on the Sunshine Coast. He has also managed properties in the Thailand holiday destinations of Phuket and Chiang Rai. “2019 is set to be a big year for Marriott International in Australia with a number of brand debuts and hotel openings, so it’s essential we have a dedicated team of General Managers who can help support this growth and drive strong brand positioning,” said Marriott International Area Vice President, Australia, New Zealand and Pacific, Sean Hunt.